It looks something like image below. Hi Djordjevic. Thanks for sharing. 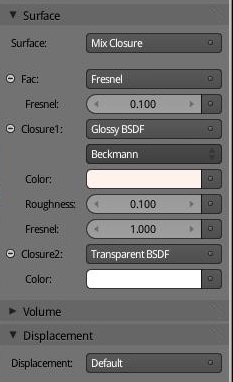 I wanted to try this, but I can't locate the "Mix Closure" surface type. 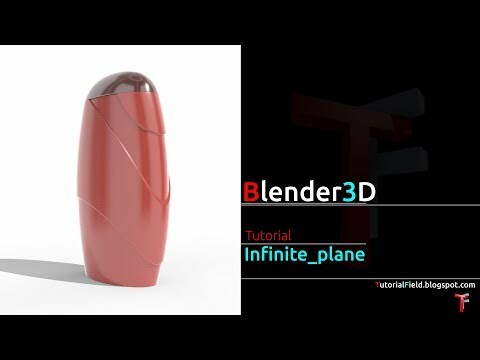 I'm using Blender 2.6.1, r42615. Could it be it changed its name to "Mix Shader"? 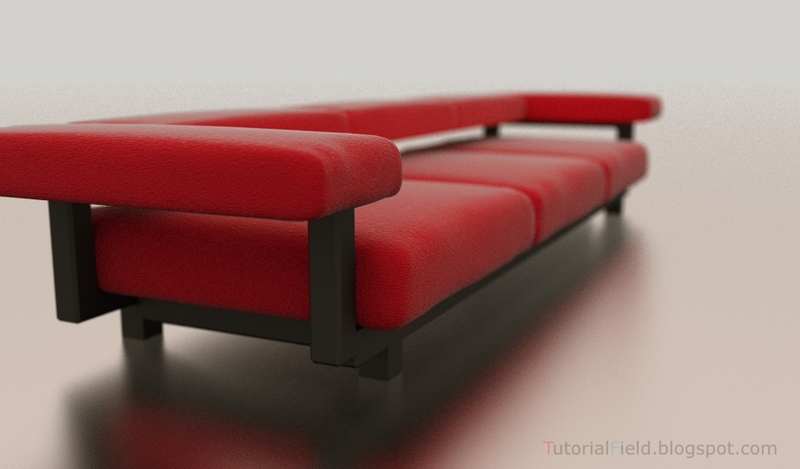 Can you update this tutorial for Blender 2.63a node system? What light are you use here? There is a little difference, thanks for noticing! I'll take a look on it today. For this exemple, i think there wasn't any lights in the scene, exept environment lightning. I might put an info here after corrections. 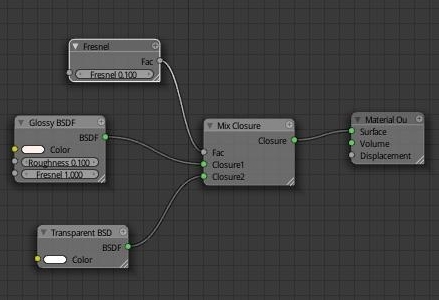 It's a tricky thing to get that effect within materials nodes, which is what i want, but there is workaround, and it's kinda old school thing to achieve vanishing point, luckily works pretty good. Stay tuned :) , it's gonna take me some time just to write an order and post it in here. I think i have to record video tutorial, it's kinda better to have that too. I'll be waiting for tut!